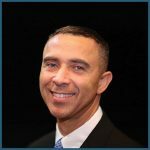 At the 2017 MHI Annual Conference keynote David Roberts will speak on understanding disruptive innovation. The emergence of disruptive technologies and the potential for more rapid deployment of existing, proven technologies all hold the potential to change development models and create new markets and business opportunities for entrepreneurs and those who finance them. The presentation will include technological advancements of autonomous vehicles such as drones, trucks and cars and help define new opportunities for supply chains. David Roberts’s fascination with technology began in the fourth grade after building a hovering electric drone, to carry his younger sister to the bus stop, powered by what was formerly his mother’s vacuum cleaner, and fortunately limited by the length of an electric power cord. Today David Roberts is regarded as one of the world top experts on disruptive innovation and exponentially advancing technology. His passion is to help transform the lives of a billion suffering people in the world through disruptive innovation. At the MHI Annual Conference you will learn and collaborate with 600+ material handling and logistics professionals on how to utilize the latest trends and innovations in supply chain and material handling. You’ll also hear from three other industry leading keynotes to help propel your supply chain and company forward. Seize new opportunities that produce tangible results. Find out more and Register today!